Jonathan Armitage leads the investment team and assumes overall responsibility for the investment outcomes of the MLC portfolios. Mr. Armitage joined MLC in August 2011 as Global Equities Portfolio Manager. He was appointed Head of Equities in December 2011 and Chief Investment Officer in March 2013. 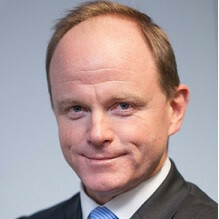 Mr. Armitage has over 25 years investment experience, having worked in the UK, Australia and the US. Mr. Armitage started his career at Schroders in London and has managed UK, Australian, Asian, US, EAFE and global equities. He was Head of US Equities at Schroders from 2005 and then a portfolio manager on the Global Equity team, which managed over US$15bn of assets for institutional and retail clients. Mr. Armitage holds a Masters of Arts from Cambridge and CFA (previously Associate of the Institute of Investment Management and Research). Mr. Birmingham grew up near Gawler in Adelaide's north on his family's small horse agistment property and was educated at local schools before going on to study at the University of Adelaide where he completed a Masters of Business Administration. Prior to entering the Senate, Mr. Birmingham worked for a number of industry bodies, establishing particular experience in the wine, tourism and hospitality sectors – industries that are critical to South Australia's prosperity. 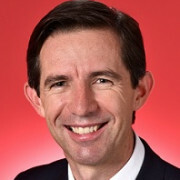 After less than three years in the Senate Mr. Birmingham was appointed to the Shadow Ministry, serving as Shadow Parliamentary Secretary for the Murray-Darling Basin and the Environment until the 2013 election. Following the change of government in 2013 Mr. Birmingham served as Parliamentary Secretary to the Minister for the Environment, with responsibility for water policy, including the Murray-Darling Basin, National Parks and the Bureau of Meteorology. In 2014 Mr. Birmingham was appointed to serve as the Assistant Minister for Education and Training in the Abbott Ministry, with specific responsibility for vocational education, apprenticeships, training and skills. In September 2015 as part of the Turnbull government he was appointed as a Cabinet minister into the position of Minister for Education and Training. In February 2018 he was appointed Manager of Government Business in the Senate. He is married to Courtney and has two young daughters, Matilda and Amelia. Mr. Birmingham is an active supporter of the Parliamentary Association for UNICEF and a proud Adelaide Crows fan. Mr. Collins has been a Director of Industry SuperFund HOSTPLUS since 2006. 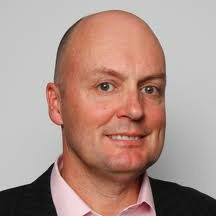 He is also a Fellow of the Australian Institute of Superannuation Trustees (FAIST); Chairman of the Sydney Financial Forum; and founder of Barton Deakin Government Relations which he established in 2009. Other appointments have included, Board member of the Workers Compensation Insurance Fund Investment Board of NSW (2005 to 2012); Chair of St. John Ambulance NSW (2007 to 2013); and Chair of the Australian Institute of Health and Welfare (2004 to 2011). Charles Sturt University graduate and accomplished journalist, Deborah Knight began her career in media at the 2WG radio station in Wagga Wagga and has more than 15 years of experience in the industry. Radio was Ms. Knight’s first love, and after several years spent fine tuning her skills, and keen for a new challenge, she took up an offer from Mix 106.5 in Sydney. From there Ms. Knight accepted an excellent opportunity to join state broadcaster the ABC, where she further secured a reputation as a serious and noteworthy journalist within the industry. Her ability to swiftly grasp new subject matter was quickly noticed and the national broadcaster utilised her talents across a variety of roles from rural reporting to Triple J, followed by the prestigious AM and breakfast program on Radio National. From radio to television Ms. Knight’s first role as a presenter/reporter was with the much-loved ABC TV show Landline. Ms. Knight covered two Federal elections and regularly presented Meet the Press and the station’s network news, before taking the leap overseas. Here, Ms. Knight headed up Ten’s US bureau (based in Los Angeles) for three years, covering world-changing stories including September 11, which Ms. Knight counts as one of the highlights of her career and the re-election of George W Bush and the Iraq War. Ms. Knight returned to Australia in November 2004 and became co-anchor of Sydney's Ten News at Five bulletin in January2006.In 2011 Ms. Knight moved to Channel Nine to take up the opportunity to join their on-air news team. 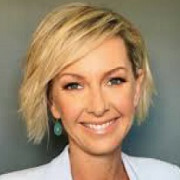 Ms. Knight is a regular news presenter for the Today Show, anchors Nine News bulletins and updates through-out the day during the week. She is also the news reader on Nine’s popular Weekend Today. 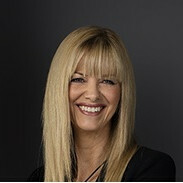 In 2012, Deb was appointed host of the network's new business program Financial Review Sunday. Ms. Knight and husband Lindsay welcomed their first child, son Darcy in February 2009, then their daughter Elsa in October 2010 and their third child Audrey in 2016. Jessica Archibald is Managing Director at Top Tier Capital Partners, focused on all aspects of portfolio construction, manager selection, due diligence, and investment monitoring. She is also integral part of the firm’s fundraising team. Ms. Archibald serves on the fund advisory committees for seven venture capital firms. 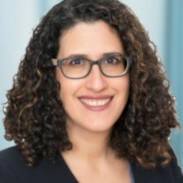 Before joining the Top Tier team, she was with Care Capital, a biotechnology venture capital firm, and was on the equity research team at Salomon Smith Barney. Ms. Archibald has a B.A. in Mathematics and Economics from Connecticut College and has an M.B.A. from New York University’s Stern School of Business. She is an active competitive rower and is a previous member of the rowing teams at Connecticut College and the New York Athletic Club, where she was a nine-time national champion. 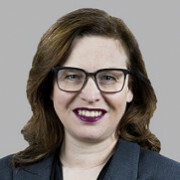 Lynn Baranski, Managing Director, is the Global Head of Investments for BlackRock Private Equity Partners (PEP) within BlackRock Alternative Investors. She is a member of PEP's Management Committee, Investment Committee, Valuation Committee and Investment Operating Committee. Ms. Baranski's service with the firm dates back to 1997, including her years with Merrill Lynch Investment Managers (MLIM), which merged with BlackRock in 2006. Before joining PEP in 2001, she worked for four years as a high yield portfolio manager and research analyst in the fixed income division. She joined MLIM from Bank of America Securities, Inc. (formerly NationsBank), where she was a member of the Financial Sponsor Advisory group. Ms. Baranski earned a BA degree in history and art history from Wake Forest University and an MBA degree in finance from Vanderbilt University. 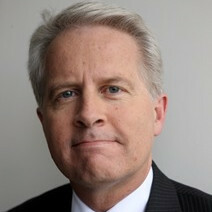 Jon Freeman is a Risk Partner responsible for the oversight of the firm’s investment analysis and portfolio management. Mr. Freeman is based in the firm’s London office. Mr. Freeman started as Coller Capital’s first investment analyst and has held numerous roles within the investment team, working on transactions in all of the Coller funds. Prior to joining Coller Capital in 1996, Mr. Freeman began his career with Arthur Andersen before moving on to working in the tax departments of Dowell Schlumberger and McDermott Engineering. Mr. Freeman has a BSc (Hons) in Banking and International Finance from Cass Business School, London, and is a UK Chartered Management Accountant. Alicia Gregory has worked within the PE program for the last 11 years and brings with her significant experience as an investor and leader. 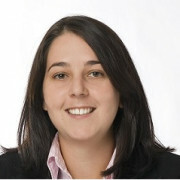 Alicia returned to Australia in January this year having spent three years in London as Head of European PE. Alicia has over 17 years' experience in the financial services sector. This career includes investment research with the ThreeSixty Investment Strategy & Research team and prior to that she worked at the Commonwealth Bank of Australia in various research and credit related roles. Alicia holds a Bachelor of Business from University of Technology, Sydney, is a CFA charterholder and has completed the General Management Programme at INSEAD. 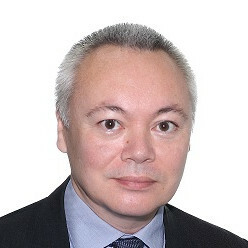 Stan Kolenc joined OPTrust in 2005 and is responsible for private equity and infrastructure investments in Asia. Prior to OPTrust, Mr. Kolenc worked at Macquarie Bank in London, Madrid and Toronto focusing on infrastructure M&A and asset management across utility and transportation sectors. James Lilico is a Portfolio Manager in the Private Markets team at Sunsuper, a $58 billion profit-for-members superannuation fund. His role encompasses portfolio construction, investment research, selection and execution and ongoing review and reporting across the private capital and property asset classes. The private capital portfolio is a programme of over $3.5 billion, which consists of primary and secondary fund investments and co-investments across the buyout, venture, distressed, natural resources and real estate areas. Mr. Lilico represents Sunsuper on various advisory boards in Australia and overseas. Mr. Lilico has been with Sunsuper for 8 years. Prior to this, he was at RMB Capital Partners and Grant Samuel. Mr. Lilico has a Bachelor of Science in Finance and a Master of Science in Decision and Information Sciences from the University of Florida. Andrew Major is the General Manager – Unlisted Assets at HESTA, an industry superannuation fund with over $33 billion under management. He leads a team responsible for managing HESTA’s equity and debt investments in the Infrastructure, Private Equity, Property, Hedge Fund and other alternative investment categories. Mr. Major represents HESTA on various Fund Advisory Boards and advocacy groups, and he represents the Investor Group on Climate Change on the Climate Bonds Standards Board. Mr. Major is also a Council member of AVCAL, the industry body representing the private equity and venture capital sectors in Australia. Prior to joining HESTA, Mr. Major worked in private legal practice and for the Macquarie Group in its Investment Banking Division, where he performed a variety of roles covering legal risk management, corporate & structured finance, principal investment and funds management. He has undergraduate degrees in Economics and Law (both with Honors) and a Masters in Applied Finance. Since joining FSS in December 2006, Ms. McDonald’s key responsibilities have included assisting the investment team with investment and asset class research and reviews. 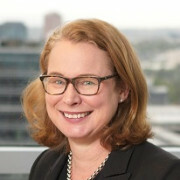 As Head of Responsible Investment, Ms. McDonald is responsible for development and implementation of First State Super’s Responsible Investment Policies and Socially Responsible Investment Options including manager and asset class ESG reviews; execution of the Fund’s Climate Change Adaptation Plan and broader ESG policy compliance (voting, screening and engagement with companies). Prior to joining FSS, Ms. McDonald was employed at Mercer Legal from June 1997 to December 2006 focusing on trustee education and corporate secretarial duties for trustees. Ms. McDonald holds a Post Graduate Diploma of Applied Finance at Kaplan Education. 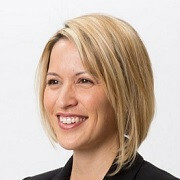 Jenny Newmarch is the Portfolio Manager for Private Equity at First State Super, a AUD $90billion superannuation fund headquartered in Sydney. Prior to First State Super, Ms. Newmarch was an Investment Director with Asia pacific private equity advisor, ROC Partners. 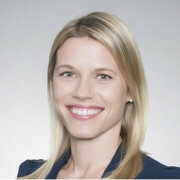 Wendy Norris joined the Future Fund in April 2010 and is the Deputy Chief Investment Officer, Private Markets. Ms. Norris is responsible for managing the strategy for the Private Markets portfolio which includes Infrastructure & Timberland, Private Equity and Property. Prior to this role, Ms. Norris was Head of Infrastructure and Timberland. Ms. Norris was previously an Investment Director with Hastings Funds Management where she was responsible for managing infrastructure investments and leading transactions in Australia, the UK and the US. Ms. Norris holds an applied science degree from the University of New South Wales and a graduate management diploma from the Australian Graduate School of Management. 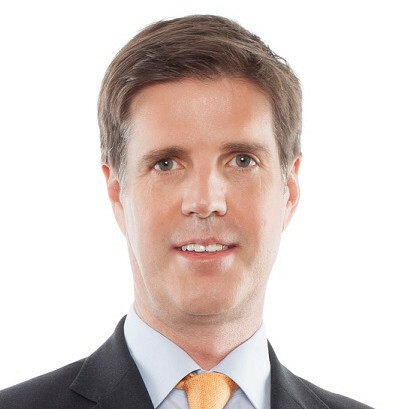 Sam Robinson is Managing Partner of North-East Private Equity Asia, which focuses on Asia private equity funds. Mr. Robinson is based in Singapore and has worked in private equity since 1998, initially joining Schroder Ventures in the UK. In 2001, he was one of the founder members of SVG Advisers, a fund of funds business, where he managed the global investment team. SVG Advisers was acquired by Aberdeen Asset Management in 2013, whereupon Mr. Robinson became Head of Asia Private Equity Fund Investment until his departure in 2015. David Simons is Co-Founder of Potentum Partners, an outsourced CIO solution for Private Equity. Potentum comprises the senior private equity team that recently left Australia's Future Fund, having built a US$20bn program for the sovereign wealth fund. Mr. Simons spent 10 years at Future Fund and prior to that, held a number of private equity and corporate finance roles. 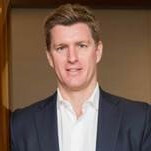 Marcus Simpson founded and manages QIC's private equity program of $5.0bn AUM globally in funds, co-investments, directs and direct secondary fund interests. He is at the forefront of a new private equity investment model reflected in a 2015 paper co-authored by Josh Lerner and Hugh MacArthur: The Next Generation Private Equity Investor. 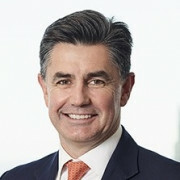 Prior to founding QIC's program in 2005, Marcus was Chief Executive, North America, Altius Associates Ltd, with US$27 billion (as of Q2 2015) under management or advice. 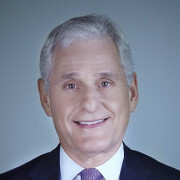 He established Altius' US operation in 2000 and participated in the global management, investment strategy and execution, and client acquisition. From 1996 to 2000 Marcus worked for the Virginia Retirement System ("VRS"), a US public pension plan with assets of US$62 billion. Marcus founded its non-US portfolio and then became Head of Private Equity. From 1990 to 1995 he worked in the London office of the Bankers Trust Company where he structured a number of buy-out financings and worked on corporate restructurings. Marcus is Chairman Emeritus of the Institutional Investors Roundtable, an international community of large, long-term institutional investors seeking to collaborate on private market investment. Hunter Somerville is a Partner at Greenspring Associates and is responsible for the sourcing and due diligence efforts on fund, direct and secondary opportunities. He is also actively involved in the assessment of micro-vc managers for the Firm. Additionally, Hunter serves on the LP Advisory Boards for 5 AM Ventures, Bolt, Pear, Bullpen Capital, Redpoint China, Fika Ventures, Foundry Group, Icon Ventures, Imaginary Ventures, Pioneer Square Labs, Primary Ventures, Scale Venture Partners, TLV Partners and Amiti Ventures. Mr. Somerville has played a meaningful role in Greenspring Associates’ investments in Matrix Medical, Docusign, Rover, Teladoc, Senseonics, G5, Rocket Lab, Channel 51, Omnispace, OPAQ Networks and PolicyGenius. Prior to joining Greenspring, Mr. Somerville worked as an Associate for Camden Private Capital. While at Camden Private Capital, he conducted due diligence and monitored fund investments across venture capital, growth equity, debt and buyout structures. He received his M.B.A at the Robert H. Smith School of Business with a concentration in Finance and Strategy. Mr. Somerville completed his undergraduate degree from the University of Pennsylvania with a Bachelor of Arts in International Relations and a minor in History. Suzanne Tavill is a member of the infrastructure and real assets team and the private equity team, focusing on Australia and Asia. She is also involved in the Firm’s ESG initiative. Prior to StepStone, Ms. Tavill was responsible for AMP Capital’s global alternative investment platform that included private equity, infrastructure and real assets. Before that she spent five years at Van Eyk Research in Sydney, the last four as head of research. Before moving to Australia, she was an executive director at Goldman Sachs Investment Management, responsible for their UK small-and mid-cap portfolios. Ms. Tavill received a MSc in finance and economics from the London School of Economics, in addition to a BBS with honors in economics and honors in finance from the University of Cape Town, South Africa. Alex Wilmerding evaluates investment opportunities and monitors existing investments in Asia and is a member of Pantheon’s Asian Regional Investment Committee. He also manages Pantheon’s Asian client services team. Most recently, Mr. Wilmerding was a director at Citi Private Bank with a focus working with financial sponsors including private equity and venture funds. He previously spent nine years as a partner at Boston Capital Ventures where he sourced, structured and managed investments in the areas of business process outsourcing and distribution as well as the areas of information, hospitality and transportation services. 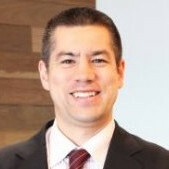 Prior to working for Boston Capital Ventures, he served as Commercial Manager Eastern China for the Fednav Group, as well as in management positions for Cathay Pacific Airways and Dragonair in Hong Kong, Shanghai and Jakarta. Mr. Wilmerding has a BA from Yale University and MBA from Columbia Business School. Mr. Wilmerding is based in Hong Kong. Craig Blair is a co-founder and managing partner at AirTree Ventures, an early and growth stage venture firm that is backing world-class entrepreneurs who are building the exceptional companies of tomorrow. Mr. Blair has been a principle in two venture capital funds for over 10 years and he has been involved in building some of the leading software businesses in Australia and the UK. Mr. Blair’s earlier career involved management consultancy, investment banking and civil engineering. Mr. Blair holds a Bachelor of Engineering from the University of Sydney and an MBA from INSEAD. 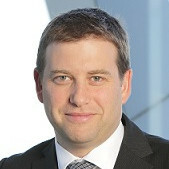 Paul Bloxham is HSBC’s Chief Economist for Australia, New Zealand and Global Commodities and is a Managing Director. He is chief spokesperson for HSBC on forecasts and trends for the Australian and New Zealand economies and their interaction with global financial markets and international economies. 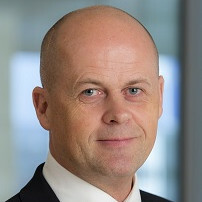 Mr. Bloxham is also a key spokesperson on HSBC’s unique view on global commodity markets and works closely with HSBC’s global equities team. He is also a member of the Australian National University's Shadow Reserve Bank Board and is an Adjunct Professor at Curtin University. In 2017, Mr. Bloxham’s team won Focus Economics awards for best overall forecaster for each of Australia and New Zealand. 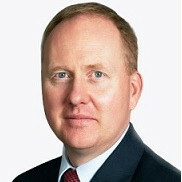 Prior to joining HSBC in 2010, Mr. Bloxham spent 12 years as an economist within the Reserve Bank of Australia's Economic Analysis Department. Mr. Bloxham holds a Master's degree in public financial policy from the London School of Economics. 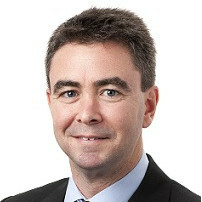 Michael Blythe is the Chief Economist and Managing Director of Economics at the Commonwealth Bank. His extensive experience as an economist reflects more than thirty years working in economic policy and financial-market-related areas. Mr. Blythe’s role encompasses monitoring, analysing and forecasting trends in the Australian economy and financial markets. In addition, he prepares a wide range of research material on matters of current interest. 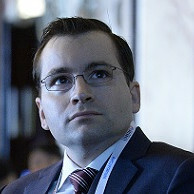 In his capacity as the CBA’s Chief Economist, he is a regular conference presenter and media commentator on major economic developments and themes. Mr. Blythe and his team have consistently ranked in the top three for macroeconomic analysis advice in various industry polls. Mr. Blythe works in the Institutional Banking & Markets division of the Commonwealth Bank. This division is responsible for managing the Group’s relationships with major corporate, institutional and government clients and providing a full range of capital raising, transactional and risk management products and services. 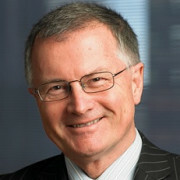 After graduating in economics from the University of Sydney in 1982, he spent a total of 13 years in various roles within the Economic Group of the Reserve Bank of Australia. This included a stint at the International Monetary Fund in 1988. He was the RBA's Senior Economist from 1991-95. Key features of these roles involved the provision of economic analysis and policy advice. Mr. Blythe joined the Commonwealth Bank in late 1995. 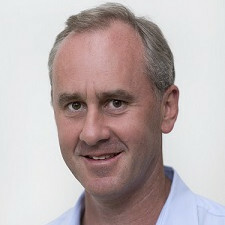 Andrew Bullock is a Managing Director of Adamantem Capital. He is recognized as one of Australia’s most experienced corporate lawyers specialising in private equity and public market deals and he is also an experienced company director. Mr. Bullock was previously a Partner at Gilbert + Tobin from 2006 to 2017, serving as head of the firm’s corporate advisory team and its market-leading private equity practice. 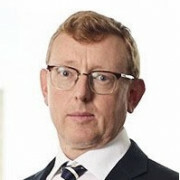 Prior to Gilbert + Tobin, Mr. Bullock was a Partner at Minter Ellison and also spent three years in the London office of Freshfields Bruckhaus Deringer. He is a current director of Bailador Technology Investments Limited and of the Foundation of the Scots College, Sydney. He has a Bachelor of Arts from the University of Sydney and a Bachelor of Laws from the University of New South Wales. Grant Chamberlain is a Partner at OneVentures and primarily responsible for technology investments and portfolio management. Prior to joining OneVentures, Mr. Chamberlain was Australian Head of Mergers & Acquisitions and Financial Sponsors for Bank of America Merrill Lynch. 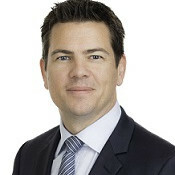 He has over twenty years’ experience in Australian and cross border mergers and acquisitions, joint ventures and capital markets at global investment banks Bank of America Merrill Lynch, Deutsche Bank and Nomura and has a broad range of experience across industries including technology, healthcare, consumer goods, financial services and natural resources. Mr. Chamberlain has led many of the largest and most complex transactions in Australia in recent years including Woodside’s offer for Oil Search, Iron Mountain’s acquisition of Recall, CSC’s acquisition of UXC, Wilmar and First Pacific’s acquisition of Goodman Fielder, Dai-ichi Life’s acquisition of Tower Australia, Kirin’s acquisition of Lion Nathan, Cephalon’s acquisition of Arana Therapeutics and its investment in Mesoblast, Foster’s acquisition of Southcorp and Webcentral’s merger with Melbourne IT. Mr. Chamberlain currently serves as non-executive director and member of the audit and remuneration committees of Immutep Limited, an ASX and NASDAQ listed immuno-oncology research company. He holds an LLB (Hons) and B.Com from the University of Melbourne. Dr. Michelle Deaker is a Managing Partner of OneVentures and has been primarily responsible for the foundation of OneVentures firm and capital raisings of OneVentures Funds. The firm now has $330M in funds under management across three main funds and is raising its fourth fund. 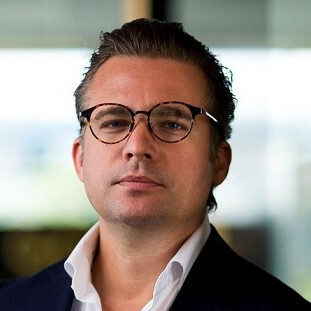 Dr Deaker serves on the investment committee of OneVentures Funds, leads the technology practice within the firm and is responsible for investor relations managing the supervisory boards of OneVentures funds. 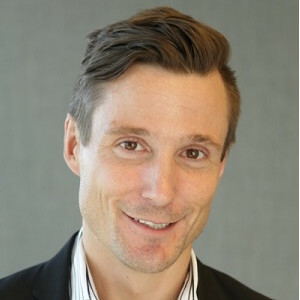 Dr. Deaker has over 20 years experience in the development of high growth technology companies in Australia and the US, has served on the boards of large and small listed and unlisted companies and has established financing syndicates with Australian, Asian and US investors. She is a current Director of OneVentures portfolio companies Phocas Group, Employment Hero and My Mobile Data (trading as OVO) and board observer for Smart Sparrow. She is a former member of the NSW government’s Digital Economy Taskforce and the Advisory Board of Head Over Heels. 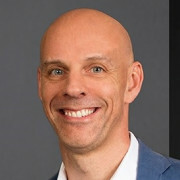 Dr Deaker is also a former Director of Seven West Media (Seven Network, Pacific, WAN, Yahoo7) and Australia’s ICT Centre of Excellence, NICTA (now Data61). Dr. Deaker established OneVentures in late 2006, coming into the venture capital industry as a successful IT industry business owner, entrepreneur and subsequently angel investor. The Company she founded in 1999, E Com Industries (www.giftvouchers.com), became the leading prepaid card and electronic voucher provider in Australia, servicing over 100 major retail brands including Coles Myer and Woolworths, managing $700m in Australian retail liability and eventually expanding operations into the United Kingdom, South Africa and New Zealand. E Com was acquired by UK publicly listed company, Retail Decisions, in 2005, in a transaction returning to investors 4.6xcapital and an average IRR of 70%. Notably, E Com industries was one of only a handful of Australian companies that successfully migrated the dotcom boom and crash through to a successful outcome for investors. Prior to E Com Industries, Dr Deaker established IT enterprise business, Networks Beyond 2000. Dr. Deaker holds a Bachelor of Science (Honours 1st class), Master of Science and a PhD (Applied Science). 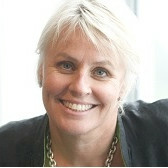 She is a member of the Australian Institute of Company Directors and Chief Executive Women (CEW). Dr Craig Emerson is an eminent economist with 35 years’ experience in public policy, politics and public service. He is now Managing Director of Craig Emerson Economics Pty Ltd, providing professional services to the business community. Dr Emerson is President of the Australia China Business Council NSW and is a Member of the Council on Economic Policy of the Committee for the Economic Development of Australia (CEDA). Dr Emerson is a former Australian Minister for Trade and Competitiveness and Minister for Tertiary Education, Skills, Science and Research. Prior to that, he was Minister for Competition Policy and Consumer Affairs, Minister Assisting on Deregulation and Minister for Small Business. As Minister for Trade and Competitiveness, Dr Emerson was the architect of the White Paper on Australia in the Asian Century and was appointed Minister Assisting the Prime Minister on Asian Century Policy. Earlier, he developed a program of reform in 27 areas of business regulation and successfully chaired the regulatory reform group of the Council of Australian Governments. Dr Emerson was Economic Adviser to Prime Minister Bob Hawke. He has been a senior public servant, heading the Queensland Environment Department and the Southeast Queensland Transit Authority. Dr Emerson’s early career was as Assistant Secretary in the Department of the Prime Minister and Cabinet, Economic Adviser to Finance Minister Peter Walsh, and an Economic Analyst at the United Nations. Dr Emerson has a PhD in Economics from the Australian National University. He is a Distinguished Fellow at the Australian National University and an Adjunct Professor at Victoria University’s College of Business and writes a fortnightly column for The Australian Financial Review. 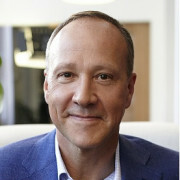 Andrew Gray is Managing Director of Potentia which is a private equity investment firm that was founded to pursue control investments in technology, software, tech-enabled services, and healthcare information technology businesses with enterprise values from $50 to $300 million. 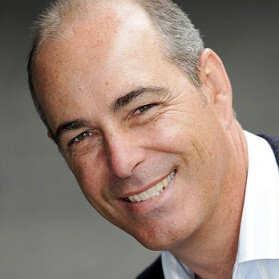 He is also currently serving as Executive Chairman of Ascender (formerly Talent2 HRMS) and is a Director of Micromine. Before founding Potentia, Mr. Gray was a Managing Director of Archer Capital where he led the highly successful MYOB transaction, Archer’s largest and most successful transaction to date, and more recently he directed the acquisition of V8 Supercars. He also served as a Director of iNova Pharmaceuticals. Before joining Archer in 2008, he was a partner with Francisco Partners, a $5bn private equity firm focused exclusively on technology companies. Earlier in his career Mr. Gray co-founded software firm Abilizer Solutions, and was also a principal at Genstar Capital based in San Francisco, was an investment banker with James D. Wolfensohn and a consultant with McKinsey & Company. Mr. Gray holds a Bachelor Degree with First Class Honors in Aeronautical Engineering from the University of Sydney and a Masters of Business Administration from The Harvard Business School. David Heathcote is a veteran of the international banking scene having spent more than two decades working for the likes of ABN AMRO, both in Australia and in the UK. There he honed his skills around a wide suite of debt products including vanilla corporate financing and refinancing, project finance, leverage finance, acquisition finance, commodity and export finance, structured and infrastructure financing, securitisations and syndications. He has been involved in multiple cross border transactions particularly involving the ASPAC region. It is not surprising Mr. Heathcote is in his element as the Global Head of Debt Advisory. “I like the challenge of working alongside our clients and bringing our specialist skillset where 1 + 1 = 3. It can be complex and challenging at the same time, but creating value and finding solutions for clients where others can’t is really very rewarding.” He also loves working in partnership with the firm’s clients, “where you are leveraging different skill-sets to deliver real tangible outcomes for your client”. 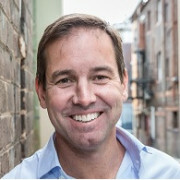 Tony Holt is a co-founder of Square Peg Capital. From 1991 through 2006, Mr. Holt was with Merrill Lynch in the Investment Banking division. He had experience in a wide range of Corporate Finance, M&A, and Capital Raising advice. From 2006 through 2008, Mr. Holt was a Managing Director at Citigroup’s Sydney Investment Banking Group and Head of its TMT business in Australia and New Zealand. In 2008 Mr. Holt joined Macquarie Capital where he worked until co-founding Square Peg Capital. While at Macquarie Mr. Holt held a variety of roles including co-head of TMT for Asia and Head of Principal Investments for Macquarie Capital Asia. Mr. Holt holds a Bachelor of Commerce from the University of Melbourne. Paul Kennedy joined Bain Capital Credit in 2018. He is a Director on the Private Credit team responsible for investments in Australia and New Zealand. Previously, Mr. Kennedy was a Division Director in Corporate and Asset Finance at Macquarie Group, and was an Associate Director at CHAMP Private Equity. Mr. Kennedy commenced his career in the Investment Banking Group at Credit Suisse. Adrian Kerley an Executive Director in the Private Equity team at IFM Investors, responsible for sourcing, structuring and negotiating new investments, managing existing investments as well as Private Equity fundraising. Mr. Kerley has extensive finance and private equity experience, joining IFM Investors from Commonwealth Superannuation Corporation, the pension fund for Australian government employees and members of the Australian Defence Force, where he was Head of Private Capital. In this role, Mr. Kerley was responsible for CSC’s Global Private Equity program, including developing and implementing investment strategies, portfolio planning and execution, relationship management, and operational enhancements. Mr. Kerley also previously worked in the investment team at CHAMP Ventures and for Woolworths in various operational and strategic roles. Anthony Kerwick is a Managing Director of Adamantem Capital. He has extensive experience in private equity, company directorships and management consulting. Mr. Kerwick was a Managing Director at Pacific Equity Partners from 2004 to 2014, having joined the firm in 1999. Prior to this, he spent three years at Bain & Company as a global strategy consultant. Anthony is currently Chairman of peer-to-peer lender SocietyOne. Mr. Kerwick is a graduate of the Australian Institute of Company Directors. He received a Bachelor of Commerce (Hons) and a Bachelor of Laws (Hons) from University of Queensland. 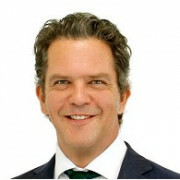 Philip Latham is a Partner of Navis and a director of Navis Capital Australia. Navis is a pan -Asia/Australasia Private Equity group, focused on control buyouts and manages approximately USD5bn in portfolio assets in the region. It has raised 7 funds since 1998, with the most recent being approximately USD1.5bn. Navis employs approximately 100 executives across 6 regional offices. At Navis, Mr. Latham sources Australian and New Zealand transactions and leads investment teams in making, monitoring and exiting investments, sits on the Navis Investment Committee and sits on the boards and executive committees of four Navis portfolio companies. Mr. Latham is also responsible for a number of matters related to the Australian operations of Navis. Mr. Latham has lead Navis’ activities in Australia since 2008. He was responsible for Navis investments in WorldMark Pty Ltd, Retail Apparel Group Pty Ltd, Blueprint Group Pty Ltd, Guardian Early Learning Group, Modern Star, Mainland Poultry and Device Technologies, as well as more than 30 follow-on acquisitions which are now part of those businesses. In addition, Mr. Latham managed the acquisition of Cherry Valley Farms in the UK and China. Mr. Latham has been active in private equity for 24 years, since founding Lend Lease Development Capital in 1994. He founded and grew RMB Ventures, where he managed 22 mid-market buyouts, including 13 exits between 1998 and 2008. Mr. Latham holds an MBA from London Business School and a BSc Hons Mech Eng from Birmingham University. He is also a chartered Engineer and a member of the Australian Institute of Company Directors. Mr. Latham Co-founded and chaired Yalari, an indigenous education initiative which is today responsible for managing and funding hundreds of boarding school students from remote and rural communities, and he served on the Board of the Australian Chamber Orchestra for 5 years. Jonathan Lee joined MVision in 2015. 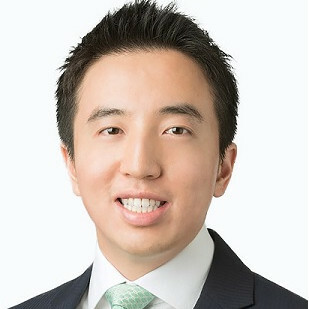 Based in MVision’s Hong Kong office, Mr. Lee supports global fundraisings, and develops and maintains investor relationships across Australia and Asia. 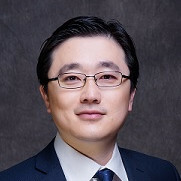 Prior to joining MVision, Mr. Lee worked as a Private Markets Analyst within the Chief Investment Office of UBS Wealth Management, where he covered investment opportunities in private equity, private credit and real assets. Prior to UBS, he worked at Sumitomo Mitsui Trust (Hong Kong), a subsidiary of one of the largest trust banks in Japan, where he monitored and evaluated partnership investments in global private equity opportunities. Mr. Lee earned a Bachelor of Commerce with a major in Accounting from the University of Alberta. He is a Chartered Financial Analyst (CFA) Charterholder. Sheridan Lee is the founder and principal of Shed Enterprises, a specialised financial services public relations and third-party marketing consultancy. As a journalist she launched Super Review in the early days of occupational superannuation. As a business development manager she worked with Swiss Bank Corp (now UBS) and Alliance Capital. Ms. Lee pioneered third party marketing in Australia in 1996. Clients have included Adveq Management AG, Neuberger Berman LLC, Bridgewater Associates, Old Mutual plc, CDC Ixis Asset Management, Standard Life Group,GAM, Axa Rosenberg Investment Management Ltd., Acadian Asset Management and Challenger International. Ms. Lee holds a Bachelor of Economics from the University of Sydney. She is a board member of Shed Media and of the charity SecondBite, as well as sitting on the Artbank Advisory Board. 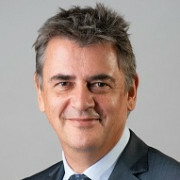 Ken Licence joined Principle in 2009 and was appointed to the role of Managing Director in December 2010. Mr. Licence has over 25 years’ financial services experience across a range of investment strategies including property, private equity and infrastructure. 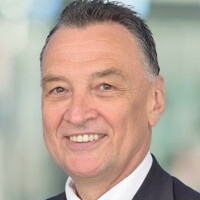 He has held senior management positions with Lend Lease, Deutsche Asset Management, and CP2, assisting major domestic and international institutional clients. Mr. Licence has been a Board Member of the Association of Superannuation Funds of Australia (NSW) and holds a Bachelor\ of Commerce from Griffith University and a Masters of Business Administration from the University of Queensland. 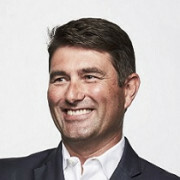 Prior to founding Colinton Capital Partners in 2017, Simon Moore was a Managing Director and Global Partner of the The Carlyle Group. He opened and headed the Firm’s Australasian operations for 11 years. Prior to joining The Carlyle Group, Mr. Moore was a Managing Director and Investment Committee Member of Investcorp International, Inc. based in New York. Prior to that, Mr. Moore worked in private equity investment and investment banking at J.P. Morgan & Co. in New York, Hong Kong and Melbourne. Mr. Moore is currently a non-executive Director of Megaport, a non-executive Director of Firstwave Cloud Technology, Chairman of TPI Enterprises, a non-executive director of AMS Group, a non-executive director of Dimeo Cleaning Services, Deputy Chairman of AMA Group, and a non-executive director of venture capital firm One Ventures. Mr. Moore received honours degrees in law and commerce from University of Queensland. Chester Moynihan is a founding Partner of Allegro Funds. Mr. Moynihan has over 24 years’ experience in private equity investing, corporate advisory, executive management and turnaround. Prior to Allegro Mr. Moynihan worked at Permira Advisers in London, Gresham Private Equity in Sydney and KPMG in both New Zealand and South Africa. Mr. Moynihan is a Chartered Accountant and has a BComm and Post Graduate Honours from the University of Natal, SA. Mr. Moynihan holds an Investment Management Certificate from IMRO in the UK and the Advanced Insolvency Law & Practice II unit from the University of Queensland. 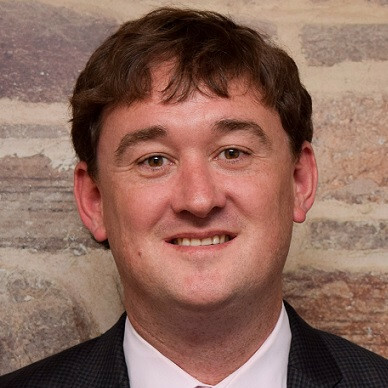 Mr. Moynihan is currently on the boards of Endeavour Learning Group, Pizza Hut Australia , Carpet Court NZ and Experience Australia. Nitan Pathak started as an engineer in the Aerospace and Defense sector at EADS Astrium. Later, gained in-depth industry knowledge during five years at Texas Instruments in Europe, Asia and the US, where he acted as Head of Business Development. After obtaining his MBA from Oxford University in 2006, Mr. Pathak joined Mummert & Company, an international financial advisory firm based in Germany, where he was involved in a significant number of M&A transactions in the Telecom, Media and Technology (TMT) sector. 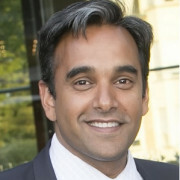 Mr. Pathak joined the European Investment Fund (EIF) in 2010. He worked as an Investment Manager within the Venture Capital team and was responsible for investments in venture capital funds focusing mainly on German-based, high-tech early and development stage companies. Mr. Pathak worked as a Business Development Manager leading the development of new equity products e.g. sector specific co-investments products and manage relationship with Sovereign Wealth Funds. Currently, Mr. Pathak is leading the Institutional Asset Management team at EIF focusing on the MENA and APAC region; he is responsible in establishing new relationships with institutional investors and sovereign wealth funds internationally. 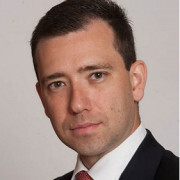 Justin Ryan joined Quadrant Private Equity in February 2011 and has since been a member of Quadrant’s Investment Committee. Prior to this Mr. Ryan was Chief Executive Officer of Alesco Corporation Limited, an ASX 200 diversified industrial company which he joined in 2004 (Alesco was taken over by Dulux Corporation Limited in 2011). Before joining Alesco, Mr. Ryan was Director of Catalyst Investment Managers which he joined in 1997. Mr. Ryan was Chairman of AVCAL in 2003. Mr. Ryan is currently Chairman of Quadrant investee companies Rockpool Dining Group and MotorOne Group and a Director of Peter Warren Group. 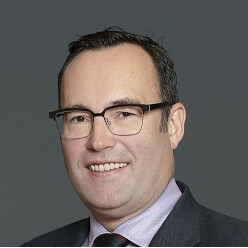 Steven Shirtliff joined KPMG in September 2018 after 22 years with another Big 4 firm in Australia and Canada. Mr. Shirtliff has worked exclusively as a partner in M&A Transaction Services since 2005, where he has focussed extensively on Private Equity and Capital Markets transactions. Mr. Shirtliff has led due financial due diligence and advisory engagements for a number of Australian and international based private equity firms on both entry and exit. With a prominent audit background (including two years as an audit partner), Mr. Shirtliff specializes in accounting for complex M&A transactions and structures. Gary Stead is a Managing Director at HPS Investment Partners, LLC, and is responsible for leading the Australian business. HPS is a leading global private investment firm with approximately US$47 billion of capital under management in both private and public credit strategies, with the ability to invest across the capital structure. His prior experience was as Co-Head of Olympus Capital Asia Credit, a regional structural credit investment company, and before that Managing Director and CEO of Fortress Investment Group Australia, where he established and led the Australian office which focused on investing for the Drawbridge Special Opportunities Fund. 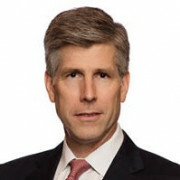 Prior to joining Fortress, Mr. Stead spent twenty years in Investment Banking, primarily at Merrill Lynch, where he served in various business building and leadership roles, including Head of M&A for Australia and the Asia Pacific region, Co-Head of Investment Banking Japan, Management Committee Member Merrill Lynch Japan Securities, and Vice Chairman of Investment Banking Australia. Prior to that Mr. Stead was with Salomon Brothers in New York, where he was a Vice President in the M&A Group. Mr. Stead has a Bachelor of Commerce degree and a Bachelor of Laws degree from the University of New South Wales and an M.B.A. from The Wharton School, University of Pennsylvania. Shiva Tyagi leads Environmental Resources Management (ERM) Sustainability Advisory Services (SAS) in Australia & New Zealand. As a former Big 4 professional services firm Partner, he has led Sustainability & Climate Change Assurance and Advisory Services in diverse industry sectors for various clients in Asia Pac. He has over 20 years of experience in management consulting and has rich experience working with companies on their sustainability reporting journey, including assisting companies with identifying and reporting on their material sustainability issues, in line with leading global frameworks. Mr. Tyagi has helped clients in energy, carbon, supply chain, sustainable investment and financing, sustainability (GRI, SASB, IIRC and GRESB) reporting, and guided companies on overarching sustainability strategies and policies on governance, data security, social impact, energy, waste and water efficiency goals including systems and processes in place to track and report these sustainability metrics across their global banking and investment portfolios. He has experience delivering sustainability leadership workshops to senior management of companies across the Asia-Pacific region on topics including non-financial risk management, Equator Principles, UNPRI, circular economy and global sustainability reporting trends. He also has In-depth technical expertise in the fields of climate change and Sustainability; Policy Analysis; Integrated management systems; Health, Safety and Social auditing. Mr. Tyagi’s sustainability clients over the years include: VicSuper, MMG, CPA Australia, Westpac NZ, Frasers, UCA Funds Management, ABN AMRO Bank, ANZ Finance, Goodman, Blackmores, AGL Energy, Origin, Glencore, Downer Mining, CPA Australia, India Bulls, Lafarge, Reliance Industries Limited, HPCL, Oil Search, Genesis Energy, Meridian Energy, Vedanta, MTR, Tata, Siam Cement Group, and Anglo American. Mr. Viles focuses primarily on the private equity industry, with corporate and deal-related sector experience in healthcare and fast-moving consumer goods (FMCG). He has deep experience working with PE firms and their portfolio companies on diligence, post-acquisition strategy, focused initiative support and exit value maximization. Mr. Viles holds an MBA with distinction from INSEAD France / Singapore and an MA (Oxon) from Oxford University. John White has more than 15 years’ experience in private equity, is a highly regarded director with expertise across multiple sectors and has transaction experience spanning Australia and New York. Mr. White was a founding partner of Next Capital following the successful spin-out from Macquarie Bank in 2005, where he was a principal of Macquarie Bank’s private equity arm, Macquarie Direct Investment. Since establishing Next Capital, he has executed multiple new investments and exit transactions, and has had deep involvement in the ongoing management of portfolio companies across a multitude of sectors. These include Vitaco, Onsite Rental Group, Discovery Holiday Parks, GoBus and Infinite Care. Next Capital’s focus is on expansion capital and small to mid-market buyouts in Australia and New Zealand, where the Partners see considerable investment opportunity. Mr. White is currently a non-executive director of portfolio companies Noisette, Forest Buses and Fun-Lab. 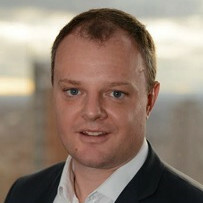 Prior to the establishment of Next Capital, Mr. White held a number of senior roles at Deutsche Bank (including Head of the Australasian Telecommunications and Media Advisory Group), as well as Ferrier Hodgson, where he focused on corporate reconstructions and the sale of distressed assets in Australia and New York. Mr. White also served as Chairman of the Australian Venture Capital Association Limited (AVCAL) for a number of years. 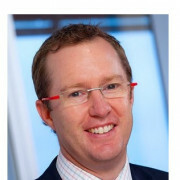 Mr. White holds degrees in Commerce and Law from the University of NSW and is a fellow of FINSIA. David Willis is a Transaction Services Partner and National Head of Private Equity at KPMG. 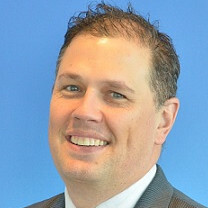 Mr. Willis joined KPMG in January 2006 (after 11 years with Deloitte in Australia and the United Kingdom) and was admitted to partnership in 2007. David has worked in Transaction Services for 15 years, focussing exclusively on Private Equity since 2001. 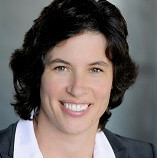 Shannon Wolfers joined Pacific Equity Partners in 2006. Prior to joining PEP, Mr. Wolfers was with Bain & Company in Australia and SE Asia. Mr. Wolfers was a University of Sydney Scholarship holder where he received a first class honours degree (BEcon) and the University Medal. Pei Zhou is a Partner at Pagoda Capital Partners, a China based growth/buyout fund with emphasis on Healthcare, and Advanced Technologies. Prior to Pagoda, Dr. Zhou worked at CITIC PE (the largest PE fund in China) and Everbright Healthcare Fund. Dr. Zhou has over 17 years of combined experience of scientific research and healthcare investment. He has extensive deal experiences, esp. cross-border experiences, in Healthcare Service, Biopharma and Med Tech. He has successfully invested in ICON, Ambrx, 3SBio, Biosensors, Beigene and etc. Dr. Zhou has a Ph.D. degree in Biological Sciences from Dartmouth College; M.E. and B.E. in Biochemical Engineering from Tianjin (Beiyang) University.